A large majority of children with ASD and ADHD have trouble sleeping [1, 2]. Autism Speaks reports that “over half of children with autism – and possibly as many as four in five – have one or more chronic sleep problems” . These may include difficulty falling asleep, waking up in the middle of the night, sleeping only a few hours per night, or a combination of the three. Studies show that losing sleep can cause poor daytime behaviors, increase core symptoms of ASD and ADHD , cause adverse effects on social interaction and academic achievement, as well as impact the well-being of the care-givers . While the root cause of sleep issues in Autism are not always easy to uncover, a few common issues include Sensory Processing Disorder (sensitivity to touch seems to have the strongest correlation)  and gastrointestinal (GI) issues. Per one study, children with ASD and GI symptoms have been found to have a higher prevalence of sleep disturbances compared with typically developing peers who do not have GI symptoms . A nighttime routine is an important part of sleep health, and implementing a consistent nightly schedule can be very helpful in regulating sleep and the circadian rhythm. It’s important to note, if your child’s sleeping issues do stem from GI issues, it’s important to solve these issues before you can make any major impact on their sleep. Good starting points would be checking for yeast overgrowth or dysbiosis with GI-MAP, evaluating food sensitivities with the Mediator Release Test, or checking for metabolic abnormalities with the Organic Acids Test. Vitamin and mineral deficiencies (such as Vitamin D ) can also play a role in sleep quality (you can get these checked with SpectraCell). Below you’ll find 10 ideas to naturally help regulate sleep for your child with sleeping issues, and help you get some sleep as well! Simply dimming the lights to half-brightness can help tell the brain it’s time to go to bed. Harsh lights and bright screens tell the brain to waken and wire up. By setting a time each night to turn off screens and turn down the lights, you are preparing their brain to shut down and prepare to go to sleep. If your child is on a tablet or computer for more than 30 minutes/day, I would recommend trying glasses that block blue light. Baths with salts and essential oils can be a very calming way to end the day. For many kids, this really preps their body for sleep and helps calm sensory overload from the day. It also gives the mind a rest from looking at a screen all day. You can buy organic Epsom salts from Amazon and have your child soak for 20-30 minutes. You can also put a few drops of calming essential oils in the bath if you can’t find a specific scent or can only find unscented bath salts. TIP: Epsom salts absorb best when combined with baking soda. Use ½ cup baking soda for 2 cups of Epsom salt. Aluminum-free baking soda is best. Aromatherapy can be very effective in relaxing the body and calming the brain. Most oils can be diffused in the air, diluted and applied to the body, or put in a child’s bath. Keep in mind that for some kids with sensory processing disorder this can actually have the opposite effect and overwhelm their senses. Certain oils also work better for some kids, so finding the right one for your child is key. My favorite brand is Eden’s Garden and they also have an “OK for Kids” line that has a sleep blend and roll-ons. If you’re new to essential oils, this is a great place to start. Massages can help relax the muscles and also provide a release from sensory overload from the day. If you’re unsure how to give a proper massage or need some tips, ask your child’s Occupational or Physical Therapist for some tips. While vitamins will not cause hyperactivity, they may make it difficult to fall asleep at night. The process of metabolizing and absorbing a large dose of vitamins and minerals can keep the body stirring. Switch your child’s vitamin regimen to the morning unless otherwise specified. Probiotics are best taken at night to give the bacteria time and gut rest to colonize. If you are interested in purchasing any of these products, please send me an email and I’d be happy to get you a discount. You can also see my supplement dispensary by going to FullScript. *Always consult with a healthcare professional for dosage and recommendations. Some kids get up in the middle of the night because they don’t know how long they should stay asleep. This alarm clock changes colors when it’s an acceptable time to get out of bed. This can help keep your child in bed in the middle of the night and teach them when it’s time to wake up, even if they can’t read time! Weighted blankets have been shown to relax children on the autism spectrum and increase serotonin production. This hormone can calm a child down and encourage rest and sleep. NOTE: Make sure you get the appropriate weight for your child. Ask your OT for help calculating if you need guidance. Singh K, Zimmerman AW. Sleep in Autism Spectrum Disorder and Attention Deficit Hyperactivity Disorder. Semin Pediatr Neurol. 2015;22(2):113-25. Tzischinsky O, Meiri G, Manelis L, et al. 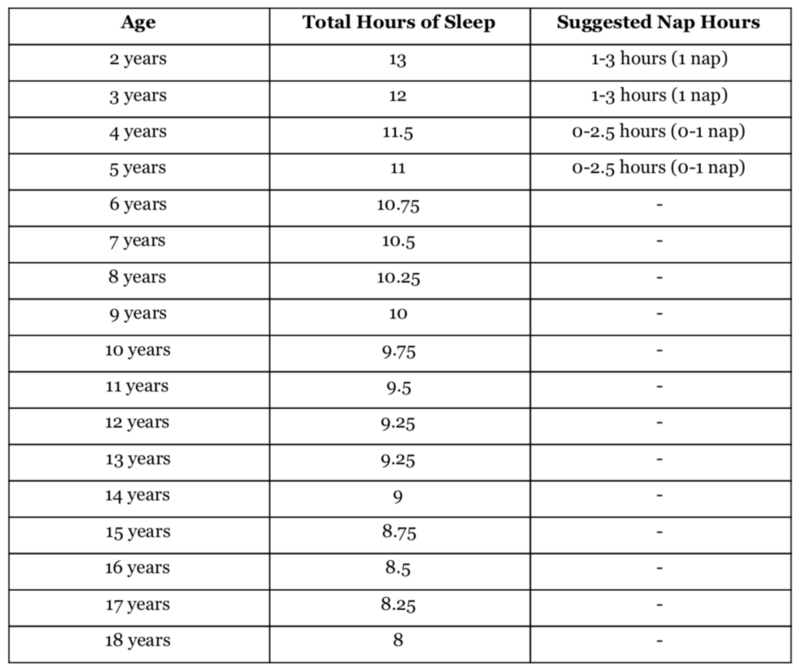 Sleep disturbances are associated with specific sensory sensitivities in children with autism. Mol Autism. 2018;9:22. Klukowski M, Wasilewska J, Lebensztejn D. Sleep and gastrointestinal disturbances in autism spectrum disorder in children. Dev Period Med. 2015;19(2):157-61.